European football (or soccer) is one of the most popular sports in the world. There are hundreds of leagues, thousands of teams, and tens of thousands of players. It’s a phenomenon, really. There are a ton of soccer apps. However, like most sports, the mobile gaming side of things isn’t great. There are a few gems, though. Most soccer (football) games either let you play on the field with your favorite players or sim the game and make you the manager. We have a nice sprinkling of both. Here are the best soccer games and European football games for Android! New Star Manager and SEGA Pocket Club Manager are honorable mentions for this list. Final Kick 201 is a simple soccer game with an arcade feel. It lets you play a shootout over and over again. Your goal is to score goals, obviously. The game features decent graphics, offline tournaments, online multiplayer, weekly tournaments, and simple controls. There isn't a whole lot to this one. However, that is part of its charm. It's good for killing a few minutes, although the tournaments can take a while to finish. It is a freemium and that's probably the worst part about it. Football Manager Mobile 2019 is a football sim from SEGA. It works like most sports sims. You put together a team, win some games, and try to win a championship. It's officially licensed for most of the big European leagues and also South Korea and the U.S. This one also improves on previous years in a number of ways. The up front price is a little higher than we'd like for a sim. However, you do get a full experience out of this one without any freemium elements. The 2019 version fo the game usurped the 2018 version of the game and includes even more players, leagues, and stuff to do. Head Socer La Liga 2019 is the official soccer game of, well, La Liga in Spain. It's a fun little arcade game. Two players (or one player versus AI) square off in a one-on-one match. It plays a little bit like pong, but in a good way. It features real players, a collection and upgrade mechanic, and some power ups to help out. The game play is super simple. This is another decent game for killing a few minutes. It's also a freemium game, but we expected that. Dream League Soccer 2019 is one of the bigger soccer games on mobile. It features full teams, complete games, and a full field of action. The front of the game is a sim. You build a team, make them good, and win championships. However, you can also play actual soccer with the team you made. The graphics and controls aren't half bad either. That puts it in the upper echelon of soccer games. It also features six divisions, Google Play Games achievements, saves, and leaderboards, and more. This one is surprisingly good, even for a freemium game. FIFA Soccer is arguably the most popular soccer game on mobile. Of course, that means it's a shameless cash grab by EA Sports! There are some likable things about the game, much like their other sports offerings. It has outstanding graphics, decent mechanics, and a lot of content. That includes a single-player campaign mode, online PvP, online leagues, players from over 550 teams, and more. It has more content than just about any other game in the genre. However, its freemium tactics are a little aggressive for our taste. Enjoy, but tread carefully. Kevin Tom's Football Manager is a neat little soccer simulator. The graphics won't win any awards. It's basically stick figures playing on a field and kicking four or five pixels around. However, the game is much deeper than that. You pick a team, buy and sell your players, use some strategy, and try to win everything. There are four divisions, various tournaments, and more. It's a port of an old C64 game, and the graphics reflect that. It's a nice retro football manager with some nostalgic value for older football fans. The game runs for $3.49 and you get the whole game for that. PES 2019 Pro Evolution Soccer is FIFA's biggest competitor on mobile. Many believe it to be a better game as well. The game features good graphics, outstanding mechanics and controls, a team building mechanic, online multiplayer, local multiplayer, and more. FIFA has more stuff to do, but PES is a funner game to play. That should help most people make the right choice for them. PES 2018 is also a freemium game and that will get in the way eventually. Until then, this is an outstanding soccer game. Score Hero is another extremely popular soccer that also isn't half bad. You basically play each level and complete the challenges, whatever they may be. The game features over 580 levels, various awards, decent graphics, online multiplayer, Google Play Games cloud saving, and more. It doesn't take long to play unlike more complete games like PES or FIFA. Thus, this one is probably the best time waster in its genre. It is still a freemium game, though, with the usual freemium issues. Soccer Star 2019 is a fun soccer game. However, it skews closer to average than it does to great. It's built for mobile. That means there are a ton of players and items to collect. The game starts out easy enough. The controls are simple to learn and the graphics are pretty good. However, the game gets difficult over time unless you take advantage of the freemium mechanics. Still, it's a fun game, at least for a little while. It's nowhere near as good as some of these other games, but it's definitely better than most others. World Soccer League is a bit of a dark horse on this list. It's better than most soccer games. However, it doesn't have the mass reception of games like FIFA or PES. The game features full soccer games, around 120 teams, 2,000 players, four game modes, achievements, leaderboards, and support for 15 languages. The mechanics are simple enough, even if they are a bit slow and the graphics are above average in this genre. It's a freemium game because of course it is. However, that's about the worst thing about it. 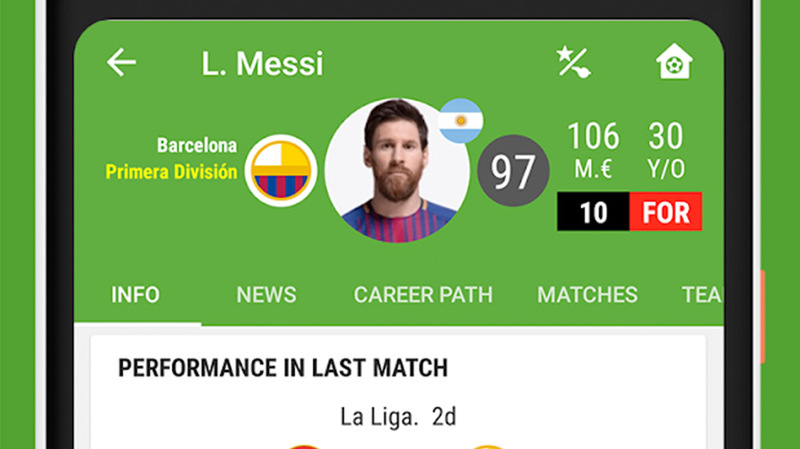 If we missed any great soccer games or European football games for Android, tell us about them in the comments! You can also click here to check out our latest Android app and game lists!